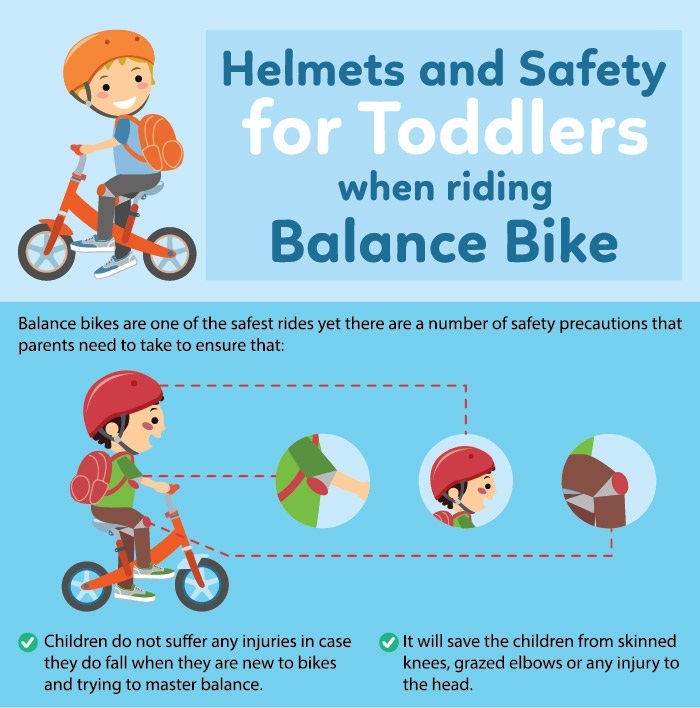 Safety is the best priority. 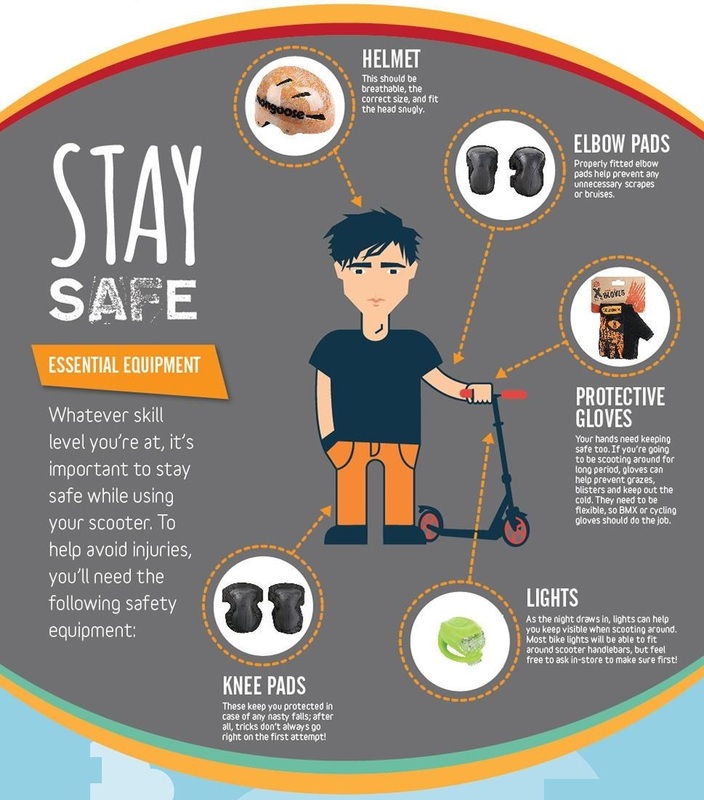 Always keep in mind about safety part when you give a scooter on your kids hands. 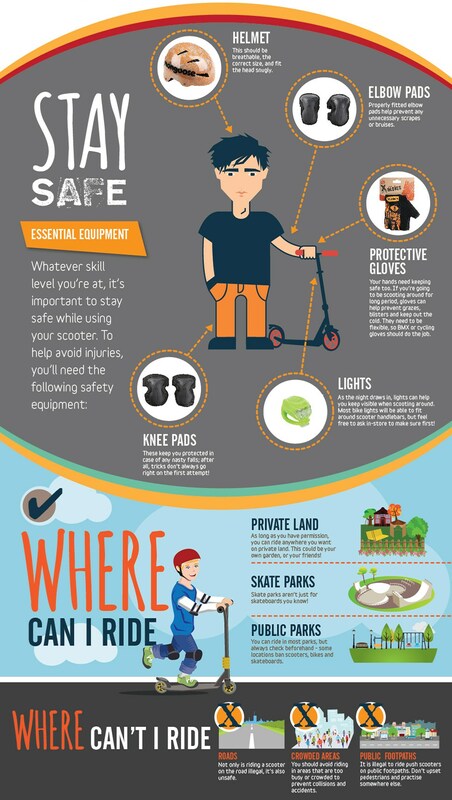 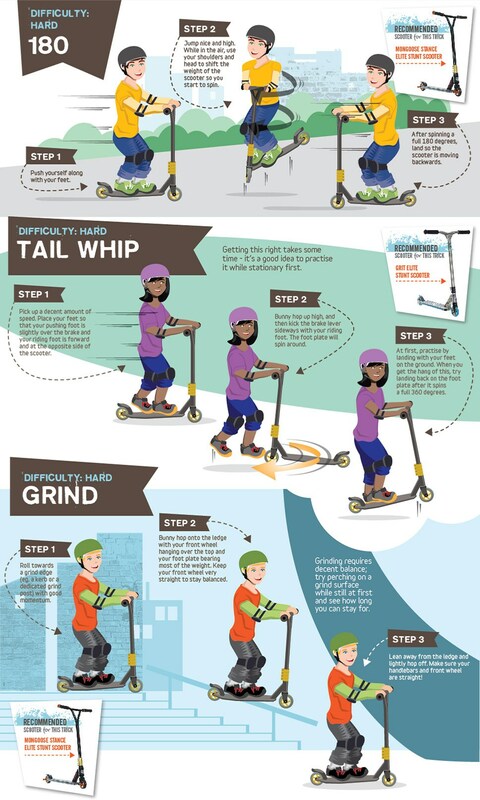 Helmet,knee pad,knee guard are most uses safe accessories.We collected and share here a cool and informative info-graphic about scooter safety guide-lines,We hope it will help to understand more !